Just a few hours after their sister-in-law Duchess Kate gave birth, Prince Harry and fiancé Meghan Markle stepped out in London to attend a memorial service for Stephen Lawrence. The 18-year-old British black man made headlines when he was tragically stabbed to death in a racially-charged attack 25 years ago, though no convictions were made until nearly two decades later. It was reported that Prince Harry had a part in the service on behalf of his father Prince Charles, which took place at St. Martin-in-the-Fields church in Trafalgar Square on Monday afternoon. The couple was spotted arriving hand-in-hand together, greeted churchgoers and made their way to the service. Prime Minister Theresa May was also in attendance. The soon-to-be bride chose a sleeveless belted Hugo Boss black dress for the service, sans blazer or cardigan, which many deemed "inappropriate" for the somber occasion. Surprised to see Meghan Markle had her shoulders uncovered at the #StephenLawrence memorial -seems a bit of a fashion faux pas to me? It's not the first time Meghan's unconventional look has stirred controversy. 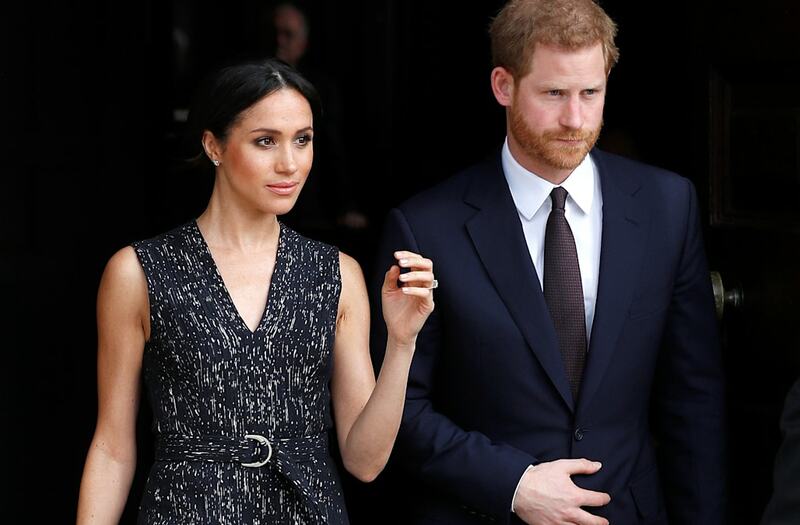 Just last week, Markle's $1,995 sleeveless Altuzarra dress made headlines for a similarly "inappropriate" look. "Ok, I love Meghan but someone needs to pull her aside and tell her that she needs to stop thumbing her nose at proper styling for events she attends. Put the jacket back on. This is business not a garden party," wrote one Twitter user. Said another,"This is why the royal family should not marry commoners. This dress is so .... so .... not appropriate, to say it nicely."